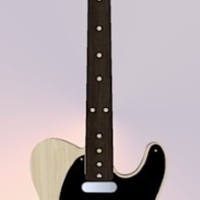 Fender telecaster in perfect scale of 1:4, fully 3D printable and easy to customize. 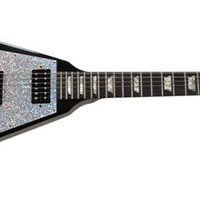 All guitars from me are easy to build for a great look, a little polish and paint and you have a great looking 'real' guitar. All parts are saved in material/color...for example body and neck in wood, parts in black or chrome (grey) and so on...therefore it's easy to print directly in the 'right' color of every part. Of course you can paint them if you like. 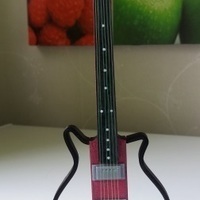 The inlays for most of the guitars is cut from white pla plastic 1.75mm, the strings can be made with thinn fishing line or as prefered in thin steel wire. 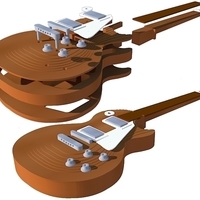 There are small cheats to get it 3D printable in this small scale but the goal has been to make the guitars as real as possible, and they are al 3D designed after building plans.